New Delhi: The Delhi High Court today sought the stands of the Centre and aviation regulator DGCA on the pleas of Air India and Federation of Indian Airlines (FIA), a body of major Indian airlines, on the issue of changes in the stipulated flight and duty time limitations (FDTL) of pilots. Air India and the Federation of Indian Airlines (FIA), which represents private carriers Jet Airways, IndiGo, SpiceJet and GoAir, have sought modification of the high court's April 18 direction to DGCA to not permit variations in FDTLs. Besides the Centre and DGCA, a bench of Acting Chief Justice Gita Mittal and Justice C Hari Shankar also issued notice to a Kerala-based lawyer on whose petition the high court had passed the April 18 order, and sought their replies by the next date of hearing on May 22. The airlines have claimed that variations in FDTL were sometimes necessary, as in the latest instance of diversion of around 70 flights from Delhi to other airports due to the dust-storm on May 13. The airlines today claimed before the bench that had they been heard, the April 18 order would not have been passed. They said that pursuant to the court's order, the Directorate General of Civil Aviation (DGCA) issued a letter on May 2 withdrawing all variations it had approved earlier and had also directed the airlines to file a revised FDTL scheme in accordance with the Civil Aviation Requirement (CAR) of 2011. Referring to the flight deviations due to the storm, the airlines said there were delays caused by diversions and the number of landings and take-offs increased as stand-by pilots are not usually available at the airports where the airplanes are diverted. DGCA also said that variation in FDTLs are needed to address such situations, to which the bench suggested getting the law amended. The bench said the legislature took away DGCA's power to allow variations in FDTLs and not the court. Air India, in its plea, has referred to an incident of May 9 when its Delhi-Chicago flight was diverted to Milwaukee (US) due to bad weather in Chicago. The flight could not take off for seven hours as, due to withdrawal of the variations, only one landing was permitted for the crew that day. It said the flight duration from Milwaukee to Chicago was 19 minutes for which the passengers had to wait seven hours till the stand-by crew could be flown in. The bench had yesterday said,"Life is more important than airlines' profit. Let 140 flights be diverted. It is high time the country is sensitive to this. We have to ensure that lives are not endangered." 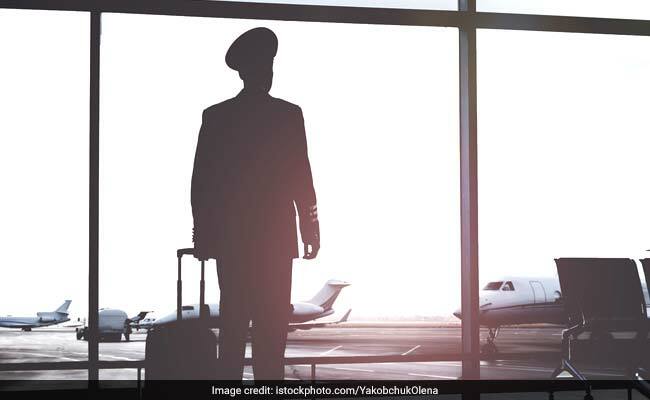 The applications have been moved in the main petition filed by Kerala-based lawyer Yashwanth Shenoy raising the issue of pilot and air crew fatigue and how it can be dangerous to safety of a flight and its passengers. The court while issuing the April 18 order had disposed of the petition. The bench had passed the order ruling that the DGCA had no authority under the Aviation Act and Rules to permit the variations or deviation. The court had also asked the DGCA to amend the existing civil aviation requirements in accordance with the rules within a period of one year. The airlines in their applications have said that DGCA in a "knee-jerk reaction" had issued the May 2 letter.